back in February, and though we know it concerns a shared universe of Stephen King stories, it’s becoming increasingly clear that we won’t really find out what that means until we get closer to the show actually airing. 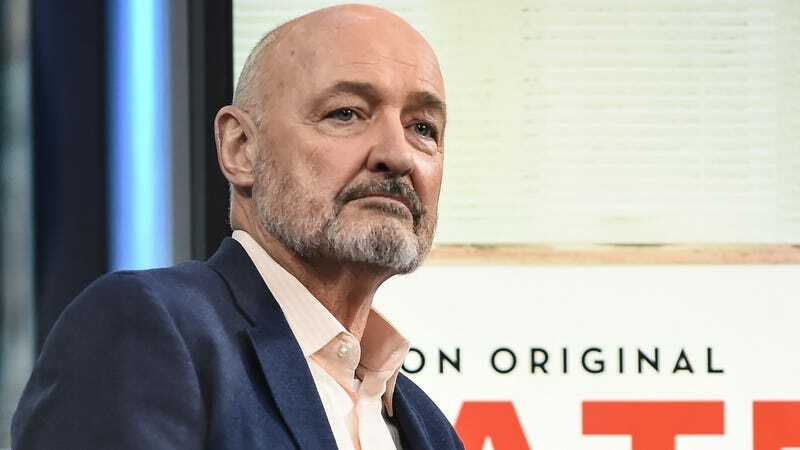 Either way, we also now know that Terry O’Quinn will be there, joining previously cast people André Holland, Sissy Spacek, Melanie Lynskey, and Bill Skarsgård. This comes from Deadline, which says that O’Quinn will be playing Dale Lacy, some kind of bigshot in the eponymous New England town who may or may not also be some kind of Stephen King monster, like a killer car, a vampire, or some kind of manipulative ghost. Or maybe he’s just a regular old dude who lives in a spooky town. This news also makes Castle Rock a bit of a Lost reunion, as O’Quinn played that show’s mysterious old dude and Castle Rock was co-created by Lost executive producer J.J. Abrams. There are other Stephen King stories than these.